We love seeing how people get creative with homemade puzzles, and sometimes people get fancy. 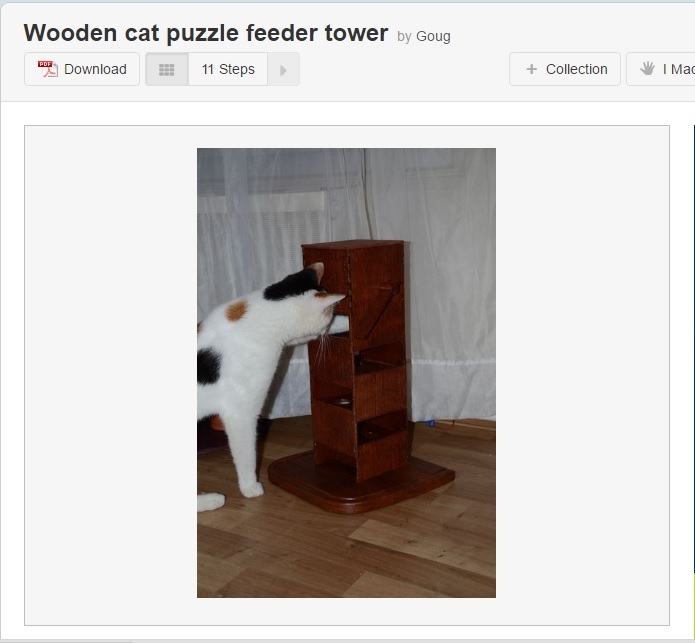 Making this puzzle requires some wood-working skills, but can easily be customized to your own preferences and your cat's needs! Brought to us thanks to Goug via Instructables - all the details you need are HERE!